Located by the beach on Sao Tome Island in the Gulf of Guinea, Omali Lodge provides elegant rooms and free Wi-Fi access. The property has an outdoor swimming pool, a terrace with sun loungers and a tennis court. 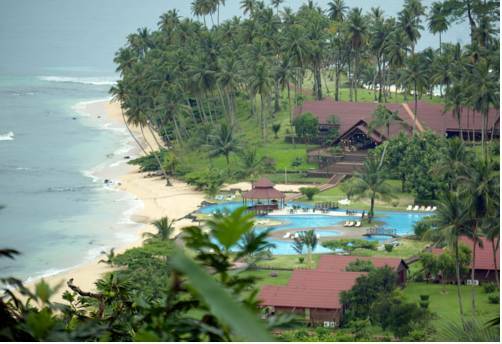 Located on São Tomé Island, Pestana Sao Tome is set on the seaside, 1 km from the centre of São Tomé. 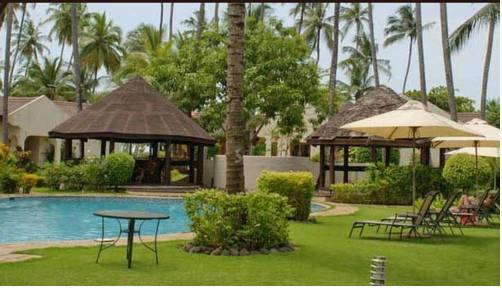 It offers private beach access, an outdoor swimming pool, a spa and a terrace with sunbeds. 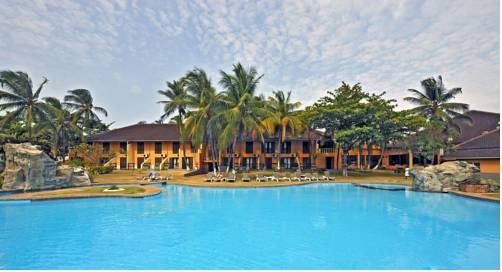 Located in the Gulf of Guinea on the island of São Tomé and Príncipe, Hotel Miramar by Pestana offers an outdoor swimming pool, terrace with sun loungers and a garden. The beach is just a 2-minute walk away. 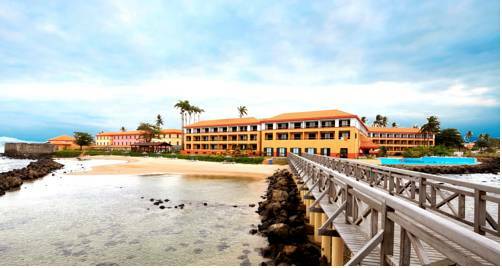 Located on the small island of Ilheu das Rolas, just south of the main island of São Tomé, Pestana Equador offers a hot tub. It is set on the beach and tour excursions can be organised on site.